Don Colleran's next auction, taking place on Thursday March 28 at 3pm in the Victoria Hotel, will include great value in attractive apartments and houses in and around Galway city centre. One property which has had more than 100 viewings already has had its advised minimum value increased by €50,000 before the auction to more accurately reflect the incredible interest that has already been shown. With prices starting at €180,000 for a Salthill apartment there is real value and something for everyone in this auction whether you are looking for a home, investment, or somewhere for your children to live while attending college in Galway. No 213 Gort Na Coiribe on the Headford Road is a bright, spacious, secure two bedroom first floor apartment on the banks of the River Corrib, just a five minute walk to NUIG. It is also close to Dunnes Stores on the Headford Road and Galway Shopping Centre, in turnkey condition, and being sold to include all furnishing. You will struggle to find better value in a quality apartment so close to Eyre Square. AMV €195,000. Final open viewing Saturday 11am to 11.30am. No 15 Glenburren Park, Tuam Road offers a rare opportunity to purchase a spacious three bedroom detached home for less than €250,000 so close to the city centre. Maintained in excellent condition throughout, this welcoming home is ready for immediate occupancy. Fronting onto a large secure green area, there is a great sense of light and space throughout this house. Accommodation includes three bedrooms with master bedroom en suite, sitting room, and a large kitchen/dining room. Advised minimum value €240,000, final open viewing Saturday 12 noon to 12.30pm. No 97 Monivea Park, Ballybane is another property with the benefit of a large green area to the front. Due to its location, attractive guide price, and spacious accommodation this property will have equal appeal to first time buyers and investors as Monivea Park is within walking distance of GMIT, schools, shopping centres, and some of Galway's largest employers. AMV €190,000. Final open viewing Saturday 1pm to 1.30pm. 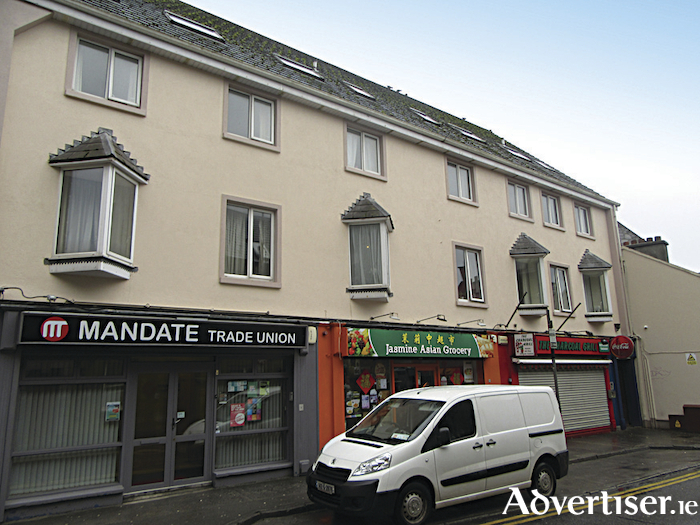 When it comes to location you cannot get more central than No 6 Abbey Court, Mary Street. This two bedroom duplex is located in a small secure development with all properties facing a courtyard. If you are looking for quality gilt edge investment or somewhere for your children to live while attending NUIG then don't miss the final open viewing this Saturday from 2pm to 2.30pm. Advised minimum value is just €190,000. It is not often you get the opportunity to purchase a city centre property facing one of Galway's canals, so when open viewings of No 2 Canal Road Lower started a few weeks ago people were gathering outside 20 minutes before the doors were due to open. More than 100 people have already viewed this exceptional property and such is the incredible reaction and interest the advised minimum value has increased to €345,000 to more accurately reflect the interest in this property. Don Colleran advises viewing of Canal Road to fully appreciate what is on offer as this is no ordinary three bedroom townhouse. It is hard to believe you are in the city centre such is the tranquil and peaceful setting of this house on the banks of the canal looking out onto St Joseph's church. Final open viewing Saturday 3pm to 3.30pm. The final property to be auctioned next week will be No 9 The Acres, Knocknacarra Road. Everyone who has seen this apartment has been pleasantly surprised by the abundance of living space on offer as the sitting room in this apartment is larger than in some houses and offers an open fire seldom found in apartments, making it something special and homely. Located less than 10 minutes from Salthill Promenade and Blackrock just past Galway Golf Club, this apartment will certainly appeal to investors due to its location, price, and high return. Equally, the spacious accommodation and secure location with every necessary amenity on the doorstep makes this a lovely home. Final open viewing Saturday 4pm to 4.30pm. AMV €185,000.